A huge clean up operation is taking place at a historic Birmngham rock venue, which played host to The Beatles and Stones, which has been destroyed in a suspected arson attack. Fire took hold at Kings Heath’s former Ritz Ballroom, now a Cash Converters store, in the early hours of Wednesday morning. At its peak, 40 firefighters battled flames and billowing smoke. Scores of shoppers watched as they tackled the fire which closed the High Street from Silver Street and York Roadfor more than eight hours, forcing traffic down Institute Road. The building was gutted little over a month after a concert was staged at a bar opposite to mark the 50th anniversaryof the Beatles’ gig at the Ritz. 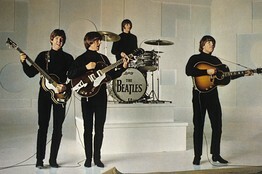 The young Fab Four had played at the famous venue, which also saw gigs by The Rolling Stones, The Kinks and Pink Floyd. After the gig, Paul and George wrote a personal message to one adoring fan in her autograph book, “To Janet, love from the Beatles”, and signed their names with three kisses. A joint police and fire investigation is under way into the cause of the blaze, which is being treated as ‘suspicious’. No one was hurt during the incident. Former barmaid Patricia Eastope, 64, who was present at the Beatles concert half a century ago said: “I’m sad that it’s burned down. 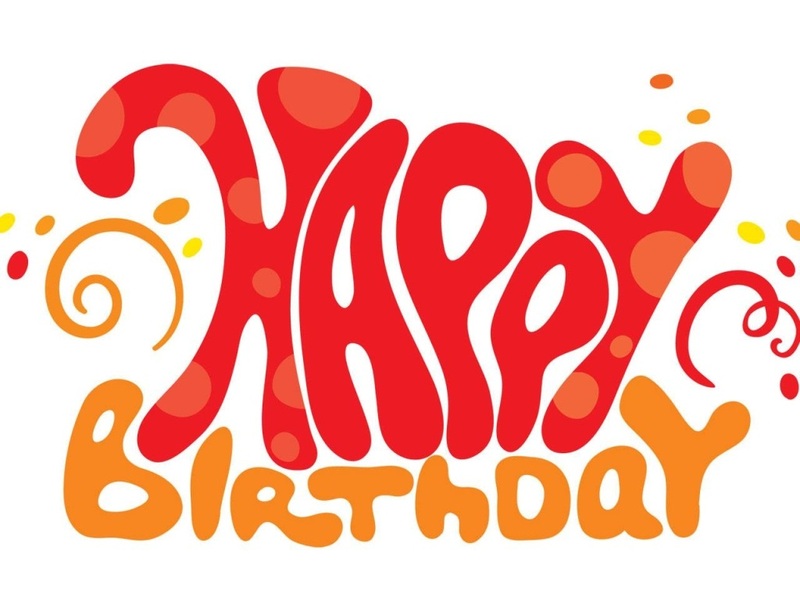 ‘‘Joe Regan used to own the venue when it was a dance hall and bingo hall up until it changed to Cash Converters. 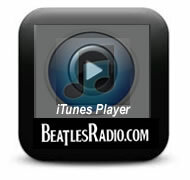 “Me and my mates saw the Beatles, PJ Proby, Billy Fury and the Searchers. He had all the big names. 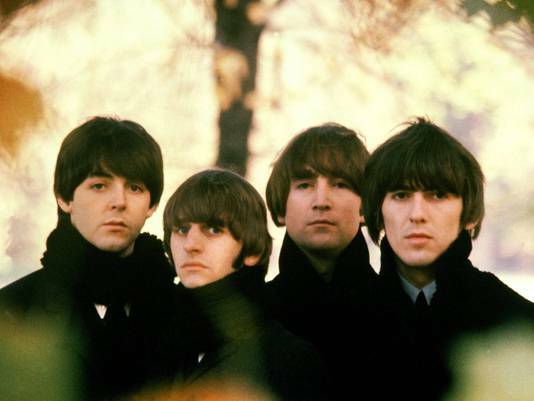 ‘I remember when we saw the Beatles, there was a lot of screaming and it was packed. Kings-Heath-born Toyah Wilcox was the first person to be honoured on the Kings Heath Walk of Fame which was unveiled along York Road last July. Bob Prew, who helped organise the initiative, said the plaque now lies under the building’s smouldering rubble. He said: “It’s devastating because the Ritz Ballroom was one of the major venues in the 1960s. “I can’t say it’s ever going to be restored. We lost the Kingsway Cinema also on the High Street to a fire a few years ago. Kate Smart, Kings Heath town centre manager, said: “The community spirit in Kings Heath is unwavering and plans for a clean-up team of volunteers is now underway. 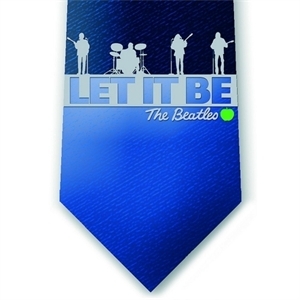 Author and cook Lanea Stagg of Evansville, Indiana will be making the trek to her first Fest for Beatles Fans in New Jersey to debut her Beatles inspired cookbook.that she will be making her first appearance at the NYC Metro Fest for Beatles Fans with her latest cookbook: Recipe Records: A Culinary Tribute to The Beatles. 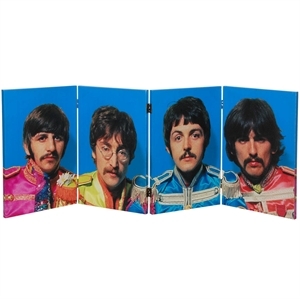 This is the third book in her Recipe Records cookbook series and contains 50 recipes celebrating 50 years of The Beatles. Some of the ingeniously titled recipes include: I Should've Known Butter, Strawberry Pie Forever, The White Album Fondue, Let It Brie, Stuffed Sgt. 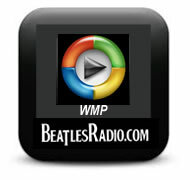 Peppers, Lady Medallions, Ob-La-Di Ob-La Slaw, Roll Up For the Magical Mystery Wrap and George Martinis. Along with debuting her Beatles tribute cookbook at the fest, Ms. Stagg will also be selling and signing her books Recipe Records and Recipe Records: the 60s Edition. 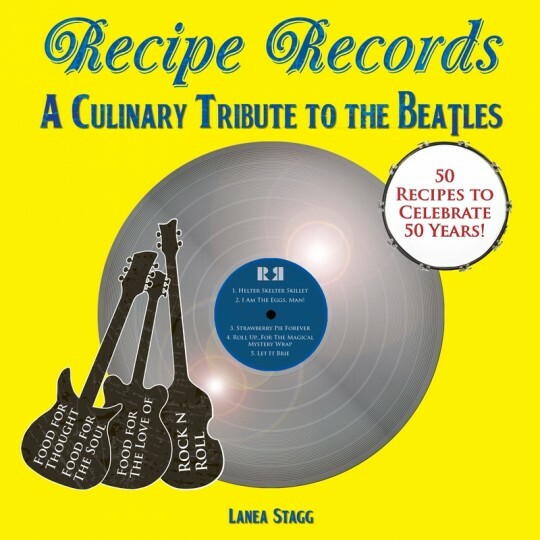 Recipe Records: A Culinary Tribute to The Beatles was released earlier this month and is available along with Lanea’s other cookbooks at:www.RecipeRecordsCookbook.com and at www.BarnesAndNoble.com. 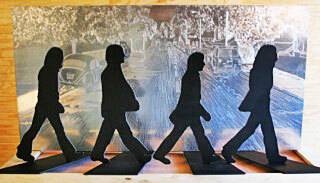 This year’s Fest for Beatles Fans will be held in Secaucus, NJ on April 5 – 7. For more information, go to: www.TheFest.com. A letter from John Lennon to Paul and Linda McCartney around the time of the breakup of the Beatles is among hundreds of historical documents being offered in an online auction on May 30. 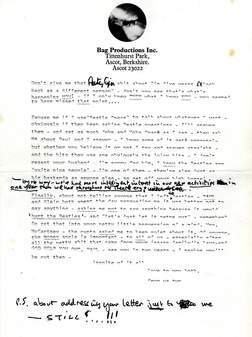 The typed, undated letter reflects the deep animosity between the two Beatles around the time of the group's formal split in 1971. A draft letter from John Lennon to Paul and Linda McCartney around the time of the breakup of the Beatles is among hundreds of historical documents being offered in an online auction. The typed, undated letter reflects the deep animosity between the two Beatles around the time of the group's formal split in 1971. 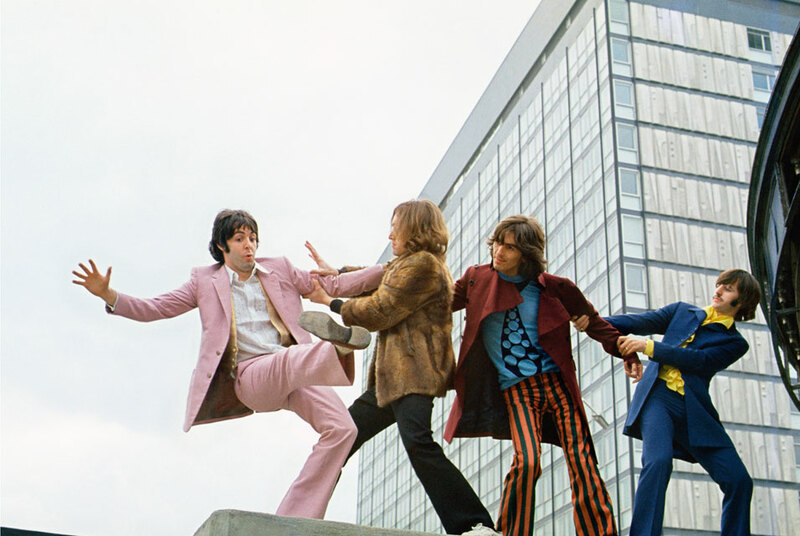 "Do you really think most of today's art came about because of the Beatles? 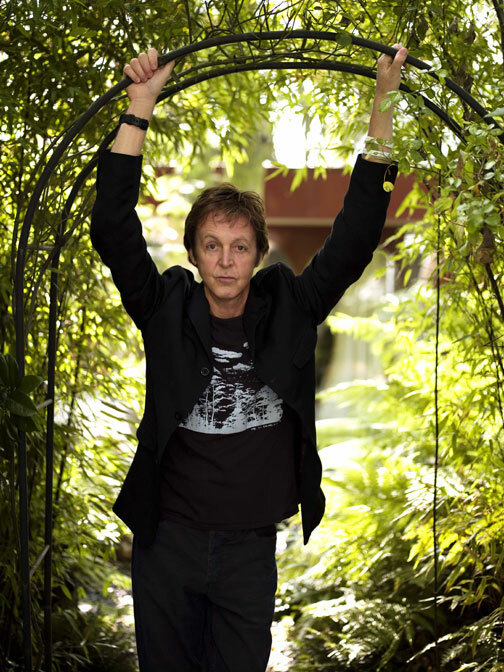 I don't believe you're that insane - Paul - do you believe that? When you stop believing it you might wake up!" Lennon writes. The two-page letter, which is unsigned and contains corrections, has a photographic logo that shows the singer and his wife Yoko Ono within a circle with their lips almost touching. It is expected to fetch $40,000 to $60,000 (£26,000 to £39,000). Other documents in the sale include a letter of despair from Marilyn Monroe to her mentor Lee Strasberg and US general Dwight D. Eisenhower's heartfelt missives to his wife during World War II. Monroe's handwritten, undated letter to the famed acting teacher is expected to fetch $30,000 to $50,000 (£20,000 to £33,000). "My will is weak but I can't stand anything. I sound crazy but I think I'm going crazy," Monroe wrote on Hotel Bel-Air letterhead stationery. "It's just that I get before a camera and my concentration and everything I'm trying to learn leaves me. Then I feel like I'm not existing in the human race at all." This humble-looking front door is expected to sell for a up to £5,000 at auction - because it once belonged to the house Sir Paul McCartney grew up in. 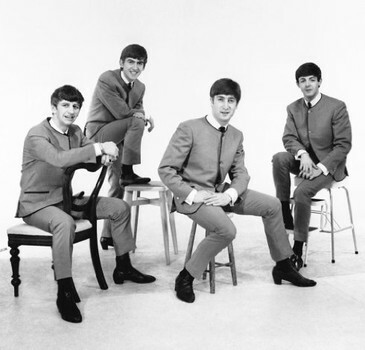 The Beatles icon learned to play the trumpet, piano, guitar and drums at 20 Forthlin Road in Allerton, Liverpool. And every day between 1955 and 1964 he would come home and open this shabby yellow door before going inside and writing his future classics. It is thought more than 100 songs were written in the house, according to auctioneer Chris Albury, who is handling the sale of the door at Dominic Winter Auctioneers in Cirencester, Gloucestershire. 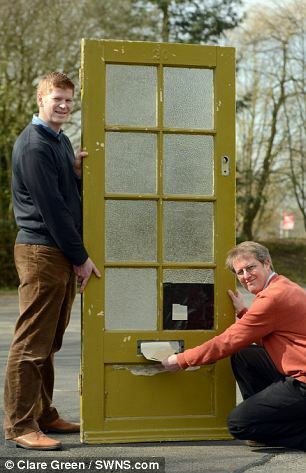 He has given the door an estimate of between £3,000 and £5,000. The Beatles visited Montreal in 1964. 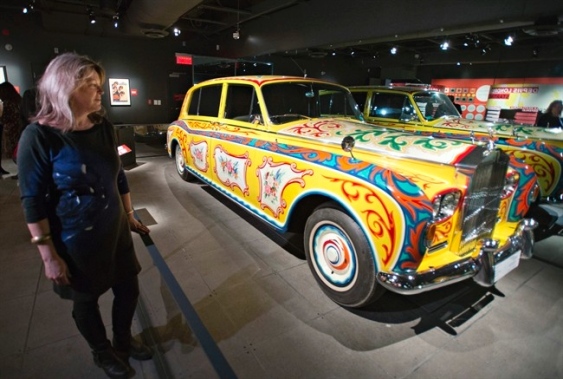 "The Beatles in Montreal," a new show at the Pointe-a-Calliere museum in Montreal, is chock full of souvenirs, guitars, pictures and other artifacts, including John Lennon's Rolls-Royce sedan. 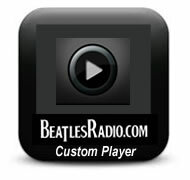 A recording of the Montreal concerts can be heard and film clips of Beatles appearances play from displays. 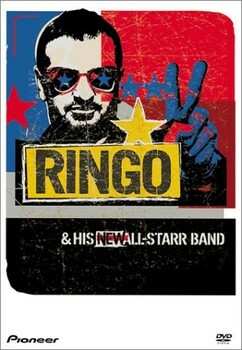 MONTREAL - Ringo got a death threat, the shows didn't sell out despite the Beatles' worldwide popularity and the band's manager brushed off a reporter who pointed out the British musicians would be playing to a mainly French audience. The Beatles only stayed eight hours in Montreal when they visited in 1964 before speeding to the airport for a flight to Jacksonville, Fla., which was at that time in the bull's-eye of hurricane Dora. They never came back as a group. But why dwell on the negative. 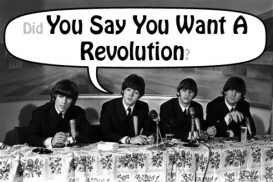 "The Beatles in Montreal," a new show at the Pointe-a-Calliere museum, doesn't shy away from the controversies but is generally as upbeat as one of the Fab Four's catchy tunes from the 1960s when they changed the face of music. It aims to look at the bigger picture of a groundbreaking band that exhibit manager David Ledoyen describes as a "musical tsunami." 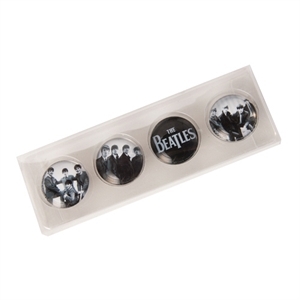 "We wanted to talk about Beatlemania and the history of this very important group in pop and rock music history," Ledoyen says of the interactive show, which opens Friday and runs until March 30, 2014. 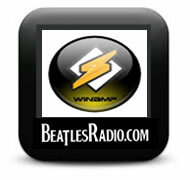 Montreal has a solid place in Beatles history, besides their rocky experience with the 1964 concerts. John Lennon returned to the city in 1969 for a week-long bed-in for peace with wife Yoko Ono and recorded the antiwar anthem "Give Peace A Chance" at the Queen Elizabeth Hotel. Beatles music is piped through the Pointe-a-Calliere exhibit, which is chock full of souvenirs, guitars, pictures and other artifacts, including Lennon's Rolls-Royce sedan. A recording of the Montreal concerts can be heard by visitors to the show, while film clips of various Beatles appearances play from displays. People can even sing along with the group in one section. 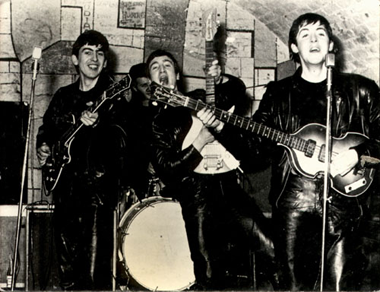 Ledoyen says the group, which spearheaded the so-called British Invasion of the 1960s, influenced not only their screaming fans but also many Quebec bands. One of the groups mentioned in the exhibit, Les Baronets, included a young Rene Angelil, who would go on to international fame as the manager and husband of music superstar Celine Dion. 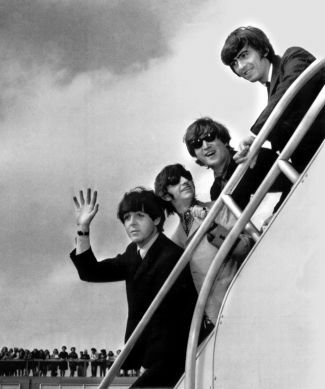 About 5,000 delirious fans met the Beatles when they landed at Dorval airport on Sept. 8, 1964, and a total of 21,000 would attend their two concerts —9,500 at a late-afternoon matinee and 11,500 at an evening show. The numbers reportedly miffed the band because they were well below the Montreal Forum's 13,551-seat capacity at the time. It's something that has furrowed plenty of other brows since then too, considering the lads from Liverpool were considered one of the hottest tickets of the day. Ledoyen says one of the reasons usually cited for the turnout is that the shows were held at the beginning of the school year and teachers weren't going to tolerate skippers. "There was a lot of pressure in the schools on the students," he said Thursday. "They were threatened by the teachers that if they were not there (in class) on Sept. 8, you were in big trouble." 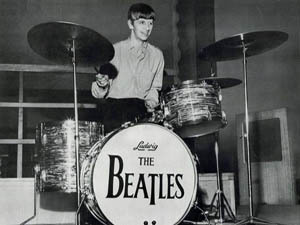 But drummer Ringo Starr was probably more concerned about a death threat against him which decried him as an "English Jew," although Starr, whose real name is Richard Starkey, is not Jewish. Starr cowered behind his cymbals, which he set facing upwards instead of flat, on the stage and a police officer sat discreetly nearby. "He was really scared," Ledoyen said of the musician. 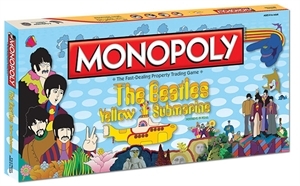 Ledoyen said the Beatles never were able to interact much with the fans because of their popularity, which spawned a heavy police presence. "John Lennon said, 'The only thing I remember about Canada is the blue shoulder of a policeman protecting me from the fans'," he said. In the exhibit, a taped recollection from then-teen journalist Janette Bertrand described how she had been brushed off by Beatles manager Brian Epstein when she pointed out that 80 per cent of the concert-goers would probably be French-speaking. "Next question," she recalled Epstein as saying. 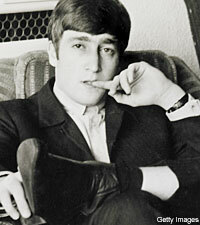 However, she said Lennon took her aside afterward with the band and spoke some fractured French to her. "She gave them a very, very short Quebec history lesson and probably it influenced them because they said 'bonsoir' to the crowd during the evening show," said Ledoyen. But the controversies didn't dim the memories of Sharman Yarnell, who was 10 when she attended both shows. She was actually just nine when she snuck out of her parents' house in a Montreal suburb a few months before and caught a midnight train into town to camp out for tickets, which went for $4.50 and $5.50. She also got a lecture when her mom found out. Yarnell, whose childhood Beatles scrapbook is in the exhibit, had to stand on her seat when she went to the concert and only got a fleeting glimpse of the band when they appeared. "Pandemonium broke loose," she said. "I couldn't hear a thing. The noise was beyond deafening. I've never heard it at any concert since. Never." Yarnell says she likes the Scousers' music because most of it told a story. "I loved the lyrics and I loved the musicality. I think they were absolutely extraordinary musicians. I didn't realize that then." While the legendary Liverpudlians did not play Montreal again while they were together, Starr and Paul McCartney did play the city in separate shows many years later. George Harrison never performed in Montreal again. "I heard he came for the F1 race here because he's a big fan of car racing," Ledoyen said. Ringo Starr may appear to be the easygoing Beatle, but Greg Lake, who toured with him in 2001 in Ringo's All-Starr Band, says that Ringo was the real leader of the band and very much in charge. "He's a very disciplined person. 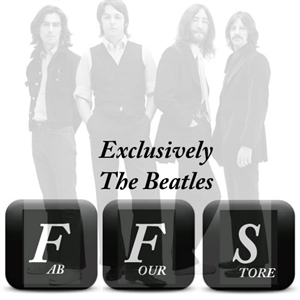 You only have to listen and focus on the drum parts in the Beatles and hear that they're all flawless." 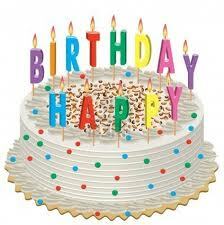 We have over 12,926 Facebook friends and almost 5946 Twitter followers.